An educational organization devoted to the enjoyment of recorder playing..
We play in a friendly, supportive atmosphere...Our emphasis is on learning technique and interpretation, not on perfection. Whether you are a pro, play for fun, haven’t played since grade school or are interested in learning to play the recorder, we invite you to join RSC. RSC chapter meeting, January 9, 2016. 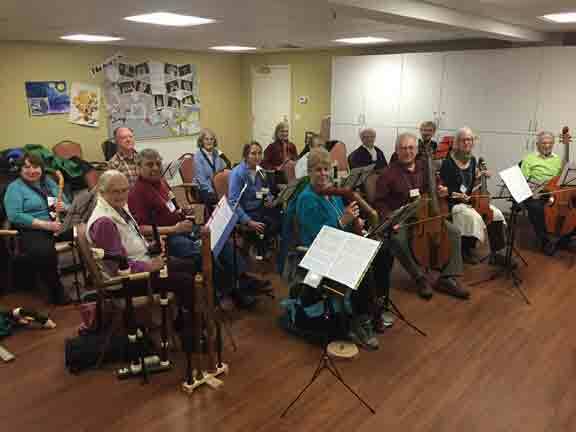 Copyright © 2015 Recorder Society of Connecticut. Information on this website that is not trademarked or copyrighted may be reproduced for personal use only. Last updated September 1, 2018.